It’s almost time for 7th Next Vintage & Craft Fair! We have space for around 30 sellers and before advertising, we’ve already taken some bookings! Do you craft and create wonderful pieces that you’re looking to sell? Are you a lover of all things vintage and have a stash of fab goodies to share with others? 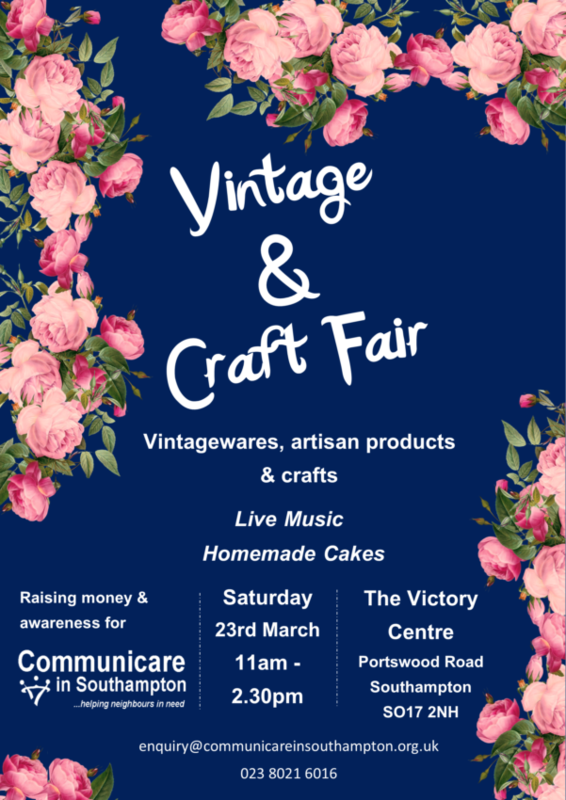 Get in touch with Bryony on 023 8021 6016 or email enquiry@communicareinsouthampton.org.uk to book your space at our fair now. Stalls are £15 + a raffle prize. Double stalls are available for £30. Tables available on request.